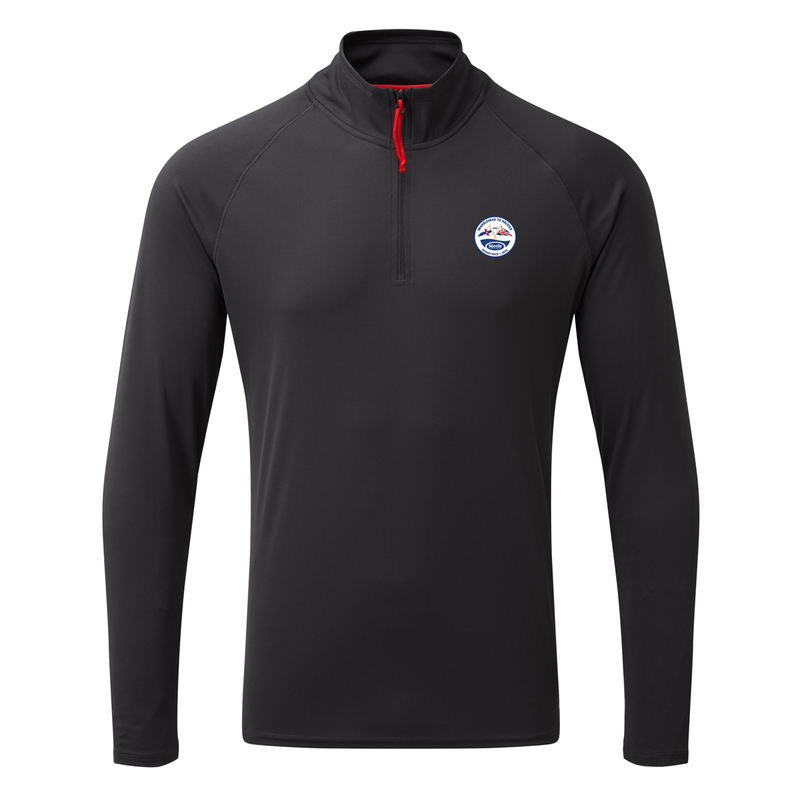 This Gill men's uv tech 1/4 zip has the Marblehead to Halifax Race 2019 logo screen printed on the left chest. With a high protective collar and 50+ UV protection, the men's Long Sleeve Zip Neck T-Shirt keeps you protected and is suitable for any activity. The lightweight pique fabric, complete with flatlocked seams, ensure comfort throughout. All our UV Tec collection dries quickly and wicks moisture away from the skin, perfect when venturing out on the water. Actively wicks moisture away from the skin.